The email wasn’t a challenge but a simple question: Is it possible to run a multivariate analysis in multiple sites? I was going to answer yes, of course, and leave it there but it would be a cruel, non-satisfying answer. We can get a better handle of the question if we use a simple example; let’s assume that we have two traits (call them tree stem diameter and stem density) assessed in two sites (localities). All variables are correlated at the genetic level with an unstructured G covariance matrix, while at the residual level are only correlated within-site (same tree was assessed for both traits), but there is zero correlation between sites, because one could be assessed near Christchurch, while the other near Dunedin, for example. Data simulation relies on Cholesky decomposition, as explained in this post over a year ago (time flies!). Generation is a bit more complex this time because we have to account for two, rather than one, covariance structures. Another point with data simulation is that one could generate one set of correlated values at the time by using something like t(BFL) %*% diag(rnorm(trait), 3) and loop it or use apply(). This would require much less memory but would also be much slower. We need to repeat each line of the family effects matrix 30 times so we can add to the individual tree effects. Often we use indexing in matrices or data frames to extract a few rows. Instead here I’m using to repeat a given number of times each row by indexing with rep(). 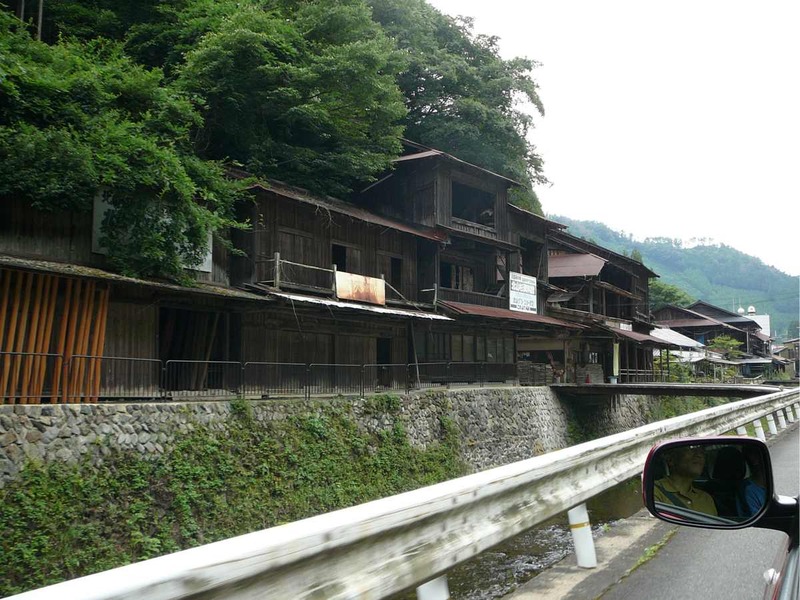 Gratuitous picture: driving in rural Japan, the cultural value of wood and breaking preconceptions (Photo: Luis, click to enlarge). For the analysis we will use ASReml, which is the Pro option if you work in a breeding program and require solving much larger systems of equations than this tiny example (say 50-100 traits, large pedigrees, etc). Another option for playing with this small data set would be to use MCMCglmm, which also allows for multivariate evaluation of linear mixed models. In model 1 each of the variances was supposed to be ~0.25 (1/4 * 1) and the residual variances ~1.75 (3/4*1 + 1). Once we move to model 2 we also get values similar to the correlations we were trying to simulate. And this is the end of the long answer. P.S. If, for some bizarre reason, you would like to use SAS for this type of analyses, Fikret Isik has proc mixed code to run multivariate genetic analyses.